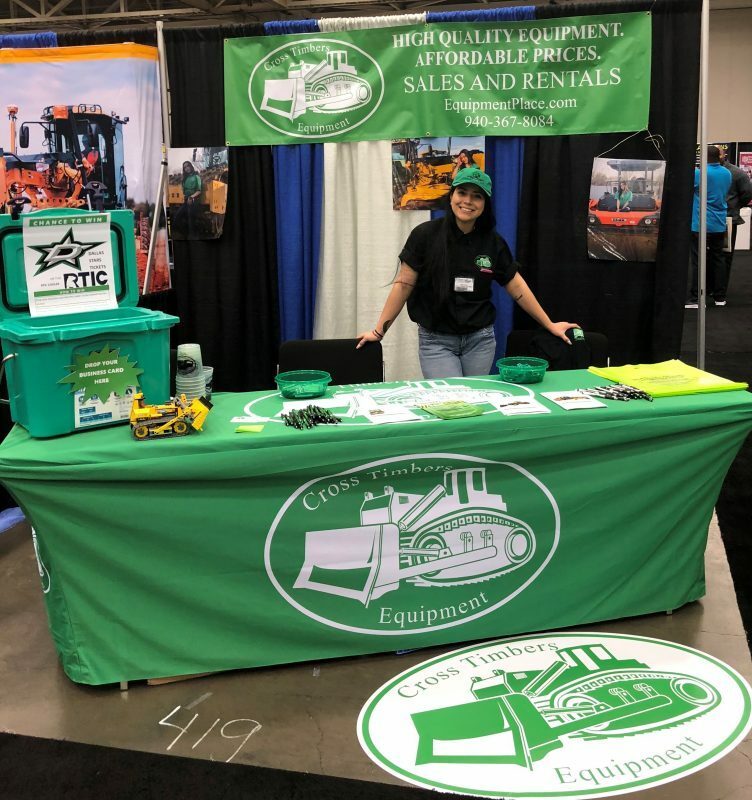 Cross Timbers Equipment enjoyed being live and in action at the Dallas Build Expo this February. Dallas professionals were invited to come and meet others actively working in the construction industry. Cross Timbers had lots of fun while meeting tons of new people! Our team was set up in the center of the expo and had a great time giving out information and interacting with everyone that stopped by over the two-day Dallas Build Expo. Our booth hosts, along with our company owner, showed expo visitors the various equipment we keep on hand, along with other company info such as our flexible payment options, experienced mechanics, and the different ways you can receive equipment from us. Our dedicated team was hard to miss with our vibrant smiles and our signature green shirts. Cross Timbers goodies were handed out to every visitor that stopped at our booth and we received over 200 entries for our exclusive contests. Our team wants to send a big thank you to everyone who came out and learned about why our we are dedicated to providing high quality equipment at an affordable price. We look forward to building future business relationships and being involved in future DFW events.